This PDF 1.5 document has been generated by Microsoft® Word 2010, and has been sent on pdf-archive.com on 07/09/2017 at 11:17, from IP address 47.29.x.x. The current document download page has been viewed 111 times. a Check or direct deposit the amount received by E-BOZAR . package he signed for when he created his account with Food.e-bozar.com. necessary, which will contain an itemization of each order placed during the previous month. 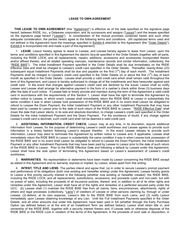 The term of this Agreement shall be twelve (12) months commencing on the date of this Agreement. 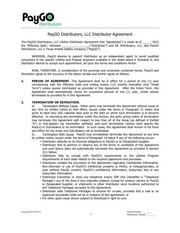 fourteen (14) days period beginning 30 days after the date of this Agreement. a cost of ₹100 per Menu. product list, delivery range, and related information)will be accessible and visible to the partner. Vendor will be given the ability to limit or deny this access before activation and any time thereafter. 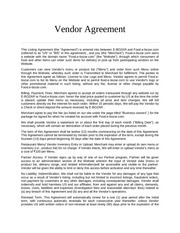 (a) any breach of this Agreement and (b) any and all the Vendor's operations. 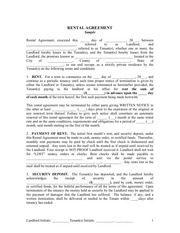 accrued and owing to US at any time by Merchant are paid in full. to the date of termination. 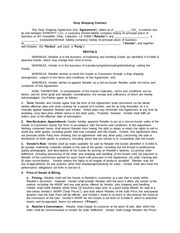 This Agreement may be assigned by Food.e-bozar.com at any time. This file has been shared by a user of PDF Archive. Document ID: 00669670.